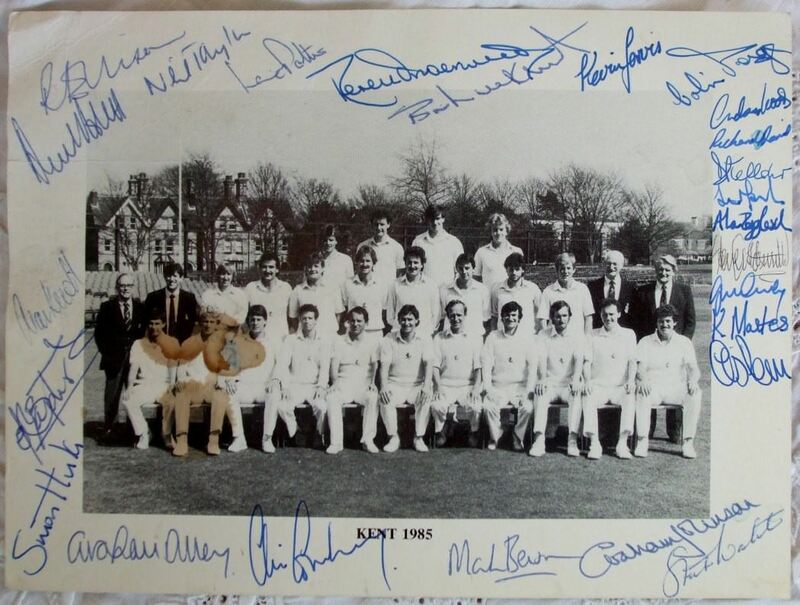 An interesting autograph signed black and white photograph of Kent County Cricket Club Players and Staff, 1985 season, complete with twenty five signatures, plus a couple of what appear to be tea stains. 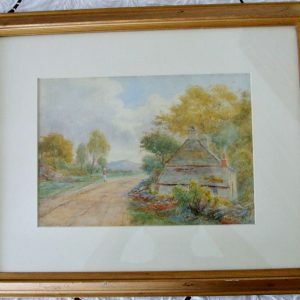 Unframed. 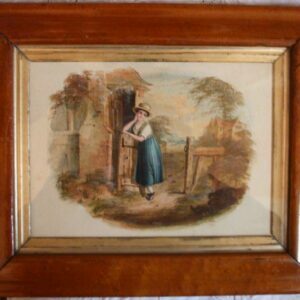 Height ~ 14.00 cm. 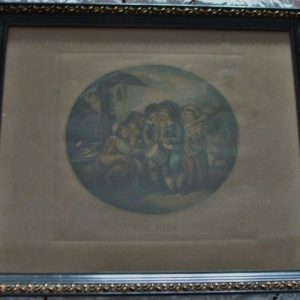 / 5.50 inches ~ Width ~ 19.00 cm. / 7.50 inches ~ Year ~ 1985. 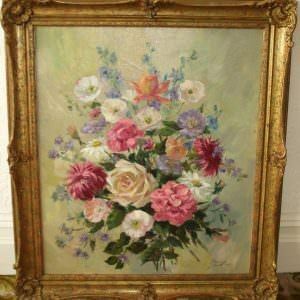 Framed Oil on Canvas ~ “June Bouquet” ~ Phyllis Morgans, R.G.I.